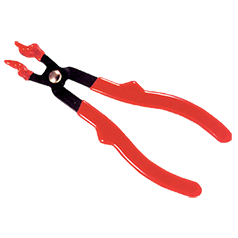 Section pliers are our go to tool when removing stubborn sections or hoods from fountain pens. 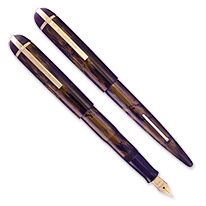 If you take fountain pens apart, you can do it the wrong way or the right way. The wrong way is to grab a pair of random pliers and hack away. 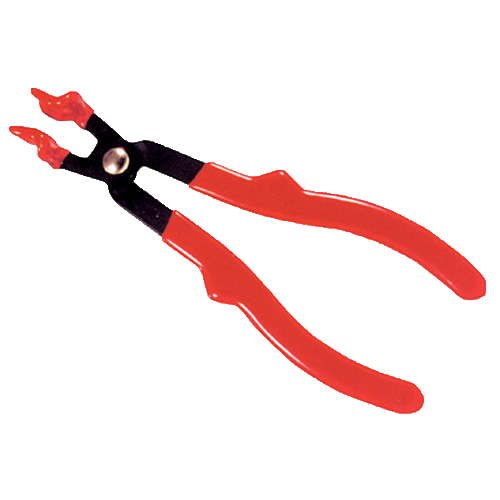 The right way is to pick up a pair — or two pairs — of section pliers. They’re actually intended by their manufacturer for use in the automobile industry, but who are we to question what works? 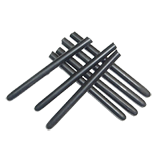 Don’t be lured into buying cheap lookalike pliers, though; there are several brands of lookalikes, and they don’t work alike. Two pairs? Yes, we do use two pairs together quite frequently. 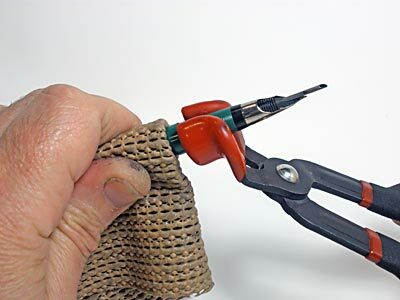 Much of the time, you can get away with using a single pair of section pliers in conjunction with a “Get-a-Grip” gripper square; but occasionally it’s useful to have two pairs — especially when you need to align the nib with the lever when you put a pen back together, because you can make tiny adjustments much more easily with the pliers’ longer lever arm.